A boat is sunk in a storm. The only survivor is a young lady, Riam, who is stranded on a remote island. Cheung, a strong but lonely man rescues her. The man hasn't had contact with any woman for years and forces her to have a relationship with him. They finally become wife and husband. Their first child is a boy. One day, Cheung gets fish poison into his eyes. Riam has to go to the nearest fishing village to look for the doctor. The doctor is away but a young man named Thep has replaced him temporarily. Riam and Thep have been lovers before. Thep is a seductive guy and a womanizer. He is aware that beautiful and expensive white pearls can be found in Cheung's island. He manipulates Riam saying that Cheung has lots of pearls that he doesn't want to share with Riam for their child's future. He resumes his relationship with Riam. He slowly cures Cheung and drugs him every night to search for his pearls with Riam. Forgetting to eat the drugs one night, Cheung becomes aware of the situation. He knows that his wife Riam and her lover Thep want to get his pearls and get rid of him. So lying to them that he needs to dive to get the pearls to share with them, Riam and Thep feed him so he can recover fast but unfortunately for them he knows more than they think. Jeud is a young man deceived by love. With all the money he has left, he buys a car in order to go on a road trip. By chance, he picks up two people who go along with him. Nud, a Southern-Thai girl who was trafficked into prostitution, but managed to escape. Roeng, an ex-convict who is on his way to reclaim his past. The further the three travel together, the more their true selves start to be revealed. All of them begin to find hope in the future when they manage to discard the disappointments in their past. 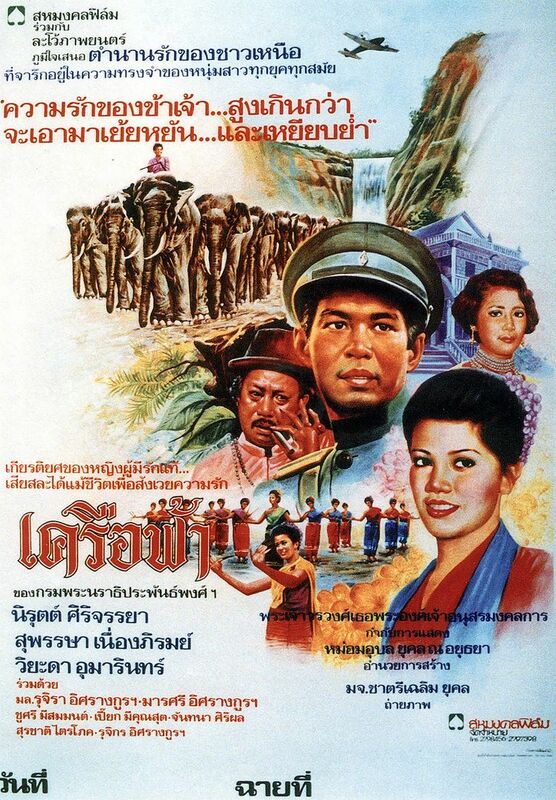 This classic film from Prince Chatrichalerm Yukol was made in 1984 and is about Thongpoon Khokpoh, a convict just out of prison looking for his son. His son refuses to meet him as he was left alone for many years. His father was in prison and his mother lives abroad with a foreigner. Thongpoon wishes to get reunited with his son. The movie deals about the lack of freedom for ex-prisoners, i.e. difficulty of reinsertion into society, the difficulty in finding a job, and the image that an old convict will always be a bad man. He sympathizes with a young girl, who is a pickpocket and a glue sniffer. His mission is to get in touch with his son and along the way he gets mixed up with the police and the Thai mafia. 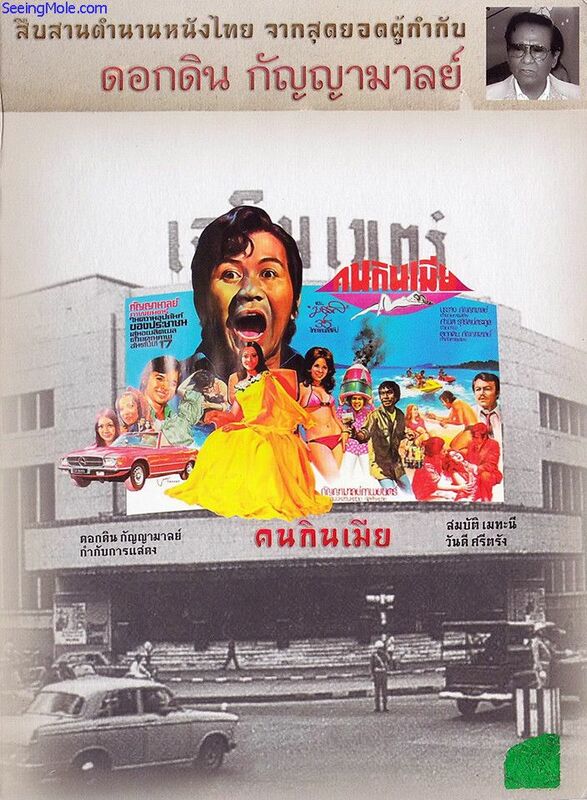 Filmed all over Bangkok including Pat Pong's Superstar bar and disco it gives a great idea of what it was like in 1984. Thongpoon Khokpoh was a taxi driver in Bangkok who was previously a farmer in Udon Thani in Issan. He saved his money for years to buy a taxi which represented the future for him and his son. When his taxi was stolen by a gang of young thugs he tried to get his it back by any means possible. He forgot his girlfriend and son and was obsessed with getting it back. Eventually this lead him all the way to jail. เฒ่าหลักพยายามสั่งสอนให้ซำและดอกไม้ หลานสาวเรียนรู้หาปลาแบบโบราณ แต่แล้วซำกลับหักหลัง ไปรับจ้างลากอวนเพื่อจะได้เงินเยอะๆ มาเลี้ยงบุญตา สาวสวยแสนทะเยอทะยานที่ซำหลงรัก ในที่สุดซำก็รู้ว่าเขาคิดผิด ในระหว่างเดินทางกลับไปหาเฒ่าหลักเพื่อสืบทอดงานประมงแบบดั้งเดิม ซำหารู้ไม่ว่ากำลังมีใครบางคนหยิบยื่นความตายให้เขา! 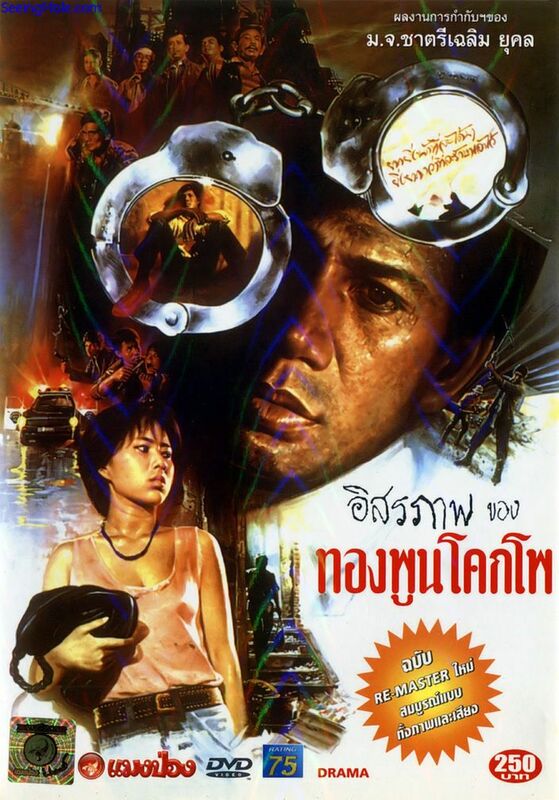 It deals about a young man called Nam Pu who is entering the drug realm and his lapse until death. It is a real-life story of a teenage heroin addict, who is neglected by his middle-class parents. 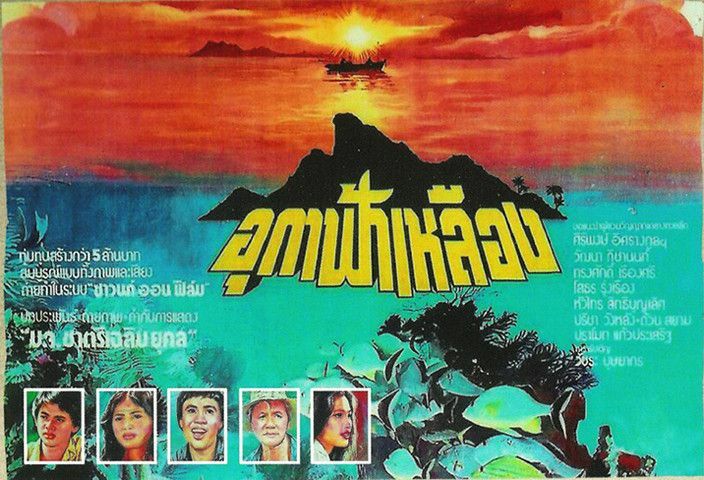 The former rocker turned screen star Ampol Lumpoon received Best Actor Awards for this movie. In 1984, Ampol Lumpoon snatched Best Actor award at The First Southeast Asian Film Festival for his role as a drug- addicted teenager. He eventually made his name known in 1984 with Nampoo, which broke the blockbuster record held by the classic Phlae Kao and made Bt17 million at the box office. It was to be his most successful movie. This movie was praised by critics, academics and intellectuals. For many years, Asian elephants were used in the relatively simple, low-intensity logging operations in Thailand and elsewhere in the region. As the move to scythe down whole forests progresses, there is less and less use for these elephants: heavy machinery works more efficiently in a clear-cutting situation. In this story, a young elephant keeper manages to save the life of a forest ranger, dedicated to keeping the (very few) national forest preserves safe from poaching. 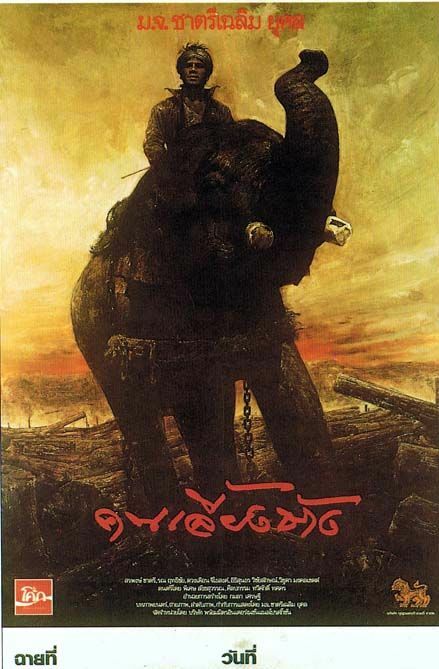 The elephant-keeper, on the other hand, is economically compelled to work for the poachers in order to keep his family fed and to preserve the family lands from sale by a greedy businessman who once loaned them money.